It’s getting close to the last sunset of 2011. It will certainly be dark way before this post is complete. I can already see the salmon-color edges of the cumulus clouds far above my head as I look out the screen windows of my sweet Kapoho cabin. I haven’t been calling my home sweet much lately, but there is a sense that some of the horrific things that happened after my return have softened a bit. Ahhh, what a relief that has been. I had thought that I couldn’t possibly stay here after what had happened. But stay I have and I will even continue to do so if my landlord (spell check wants me to use the word, “property owner” to avoid the gender-specific language of landlord – imagine that, spell check is hipper than me in the PC language department!) agrees to my part-time living here. Time will tell about that – I’m waiting to hear back from her to know whether it’s time to start looking for a sub-letter or time to start letting go of yet more stuff and pack up the rest before my next departure. Well, isn’t this something?! In the time since I wrote this first paragraph, I got a call from Devorah who wanted to come right over and “discuss things.” And now, I have in my hand my 45-day notice to vacate my cabin. Okay then, I guess the decision about whether to go or stay has been made. It’s done. Fortunately, I decided on the upcoming writing workshop with Ann Randolph just minutes before I sat down to write and I sent her a $500 deposit. I might not have done that with this news, but it’s a done deal, too, and I’m still glad that it is. I was vacillating quite a bit on it, especially related to finances (but really, because it’s also so edgy for me to continue to pursue this writing and performing work that feels scary and simultaneously so very exciting!). How do I feel? I feel like I asked for this guidance and Spirit provided the answer. This is an important piece of taking the next steps of my life, further into the unknown territory that awaits me and which I eagerly welcome. Part of me is relieved in knowing that this is the next step. I had said just earlier this week that I could stay or go, I wasn’t attached either way and didn’t feel like I could declaratively state my decision to go; but now that decision’s been made for me. I feel relieved that I don’t have to spend time interviewing and finding a responsible sub-letter who would be the perfect fit. This past year, it was a lengthy and laborious process that I knew would take an equal amount of time again. Instead, I’ll be packing. I feel an edge of anxiety that’s related mostly to time – I’ve got two weeks worth of workshops coming up and I need to be out of here in six weeks – yes, the anxiety is focused on time and how I’ll get all the packing and getting out of here done in time. But as always, that will work itself out – after all, it always does and I have no reason to believe that this time will be any different. Interestingly, I feel little anxiety about anything else – I will find a place to stay for the six weeks or so I have in mind to be on the island after I need to leave here – I have no idea where that might be or what that might look like, but I trust … I trust that something will show up to support me and shelter me before leaving the island again for the next series of adventures that await. 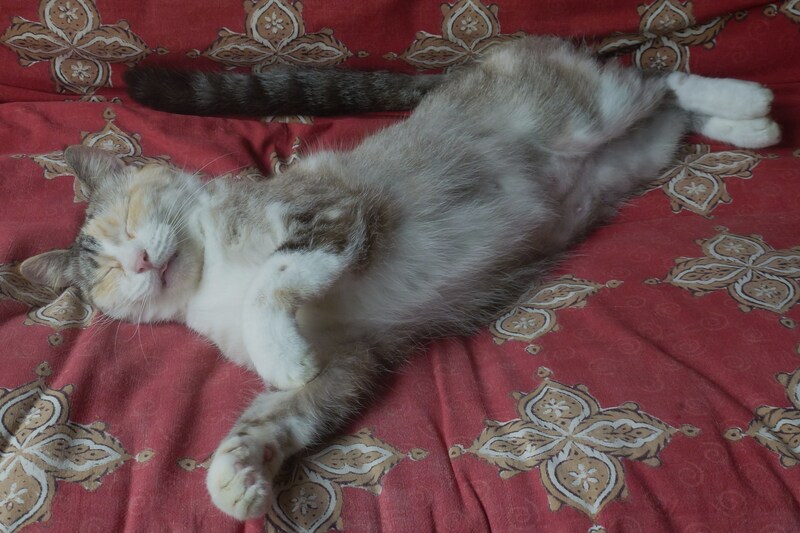 Oh, and then I worry about my dear new kitty – PuLiki. She arrived last week, my foster kitty from the Rainbow Friends Animal Sanctuary and she’s been the most delightful addition to my life right now that I could possibly imagine (well, I could certainly imagine other delightful additions, too, but for now, she is … ahem, the cat’s meow!). Donna and I went to the Sanctuary one day to pick her out and she came to me immediately, even putting out her paw to get and keep my attention. There’s no doubt in my mind that I made the right decision in choosing her – she’s sweet, so incredibly affectionate, comes when I call her, is thrilled to be here and is right next to or on me all the time, which I love. It took her some time and convincing to climb the stairs to the loft, but now that she has, she sleeps cuddled right up next to me; if I roll over, she moves over to the other side and settles in to cuddle again. She might be the most affectionate cat I’ve ever had; not that I have her, of course. It’s more like she has me – it took all of about two minutes for the falling-in-love process to take hold. Right now, in fact, she would really prefer that my lap were free and not encumbered with this computer device. She’s settled for sitting next to me and lets me know every few minutes that it’s time to take my fingers off these silly keys and give her a rub instead. (She’s very vocal … we already have that in common!) I obey, of course, because that’s what we humans are supposed to do with cats – be the humble servants to them that we are. And I am, and grateful to be able to be! So my worries about her are changing her environment yet again and finding a place that will work to have her in. 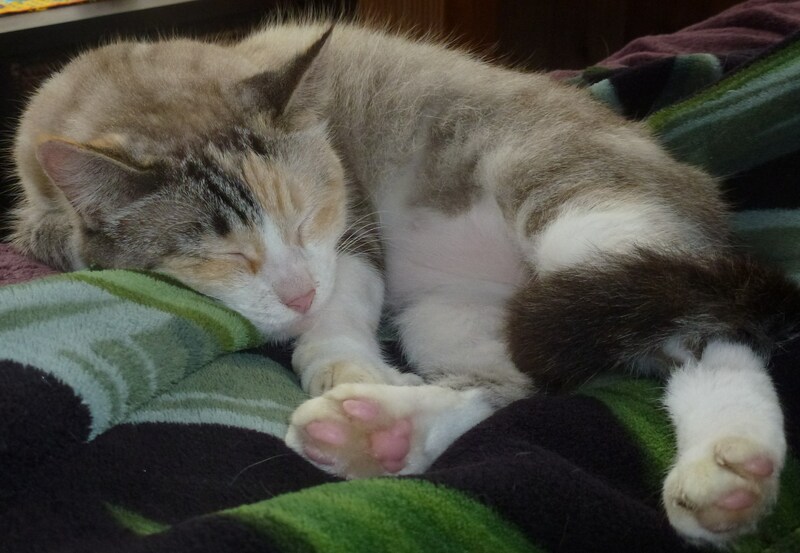 She’s an indoor kitty, having never been outside and they prefer to keep it that way. I needed that to be so for this place because of the dogs who likely caused Makana and Pono’s deaths, so I was clear I would only have an indoor kitty here. In manifesting the next place to live, I need to envision one that will be home for an indoor kitty, too. And it will happen, it will happen. The Rainbow Friends foster program is the perfect one for me and for PuLiki, too, I like to think. I foster her and when I need to leave, she returns there (I can already tell that that will not be an easy process for me, but so it shall be); and then when I come back, I go back and pick her up again. It’s perfect! They even pay the vet bills when I have her; all I have to do is feed her and love her and that comes as easily as it possibly can! She won’t be thrilled to return there, but the time we have now until I leave again is so very precious and time I am savoring every moment of. <Yikes, there seems to be a penchant for ending sentences in prepositions in this post – hard for this former English major to let that happen without some effort to reconstruct the sentence. But hey, I’m letting it happen, so there! Look at this beauty and her sweet little tongue! PuLiki already wayyyyy comfortable here! I’ve decided to spend this New Year’s Eve alone, here with dear PuLiki and on my computer writing. I love the sense of freedom in choosing to spend this evening just how I want to and not to feel the least bit beholden to how I’m ‘supposed’ to spend this holiday. There have been more than plenty of social events and friends inviting me ‘not to be alone.’ But alone is just what I want to be tonight. What I actually wanted was to spend the evening in intentional circle with others, doing what I’m doing right here writing; but I couldn’t make that happen, so I’m doing it by myself and feeling so very grateful for this choice. I remember my younger, greener, ‘salad’ days when staying at home alone on New Year’s wouldn’t have even crossed my mind or if it did, only to say, ‘what a lame and lonely thing to do.’ Now that couldn’t be further from the truth for me. Oh, I’ve done the partying scene, the reveling and the merry-making and I’ve done it in Hawaii, in New York, in California, in Key West, in Germany, in Indonesia and in places I don’t even remember. And no doubt, I’ll do it again, if I’m alive for another one (no, that’s not morose, it’s just awareness of my mortality and not assuming otherwise, which is, today, like any day, like all days, a path at least worth considering). But now, right now, there’s simply no other place I’d rather be, no one else I’d rather be with and nothing else I’d rather be doing. And I’d say that’s a fine and wonderful way for me to bring in this New Year! It’s been a soft and easy day that has been mostly quiet and relaxed. I started the day floating in the warm water of Ahalanui (locally known as the Warm Ponds). It’s such a beautiful place, right at the edge of the sea with waves crashing into the larger-than-Olympic-sized lava pool, palm trees circled around it and warm, volcanically-heated water to float in. I have a feeling I’ll be spending more time there in my remaining time in Kapoho, since it’s so close by. Even though I don’t know where I’ll be living, I have a strong sense that it won’t be in this area and more likely (based on what, I have no idea, just a hunch), it will be further down the Red Road near Kalapana again. My day continued with lounging in the warm sun in one of my chaise lounges (I guess I’ll be getting rid of those – just sitting here writing, I find myself already looking around and imagining what will stay and what will go – only the most important /somehow sentimental items will likely be keepers!) and falling asleep in the process. I’m reading some interesting books right now – one is called “Virtually You: The Dangerous Powers of the E-Personality,” written by a Stanford psychiatrist about the personas we construct online and the trouble they can cause us (particularly meaningful to me in relation to the online dating world); and “Closure: The Rush to End Grief and What It Costs Us” (finally, a book about grief that is not just about the recovery process but about how really, what we need to learn is to live with grief, not get over grief). Yes, nice light reading for the New Year! I wasn’t looking for either one of them, but like the other two I found on the same day at the library (Alice Walker’s new delightful and poignant book, “The Chicken Chronicles” and Susan Moons, “This is Getting Old,” (also a poignant and very funny Buddhist reflection on aging, especially for single women). They are great reads on their respective topics and I’m grateful for the stimulation and reflection materials they’re offering to me. I’ve spoken to some friends on the phone, wished them the tidings of the New Year and have settled in for the duration of the evening to write and reflect. And I’ve got a sweet kitty at my side. I feel wholly content. 2011. Last year at this time, I was getting ready to Sing with Courage (as I will be again in a couple of weeks – yippee!). I was putting the finishing touches on heading out on what became my 9-month pilgrimage. I was finalizing the contents of my backpack and my very loose itinerary. I was saying goodbye to Makana and Pono, to my friends here and to the Big Island. It was the beginning of a year of adventures across the globe that brought me to explore the new lands and cultures of Thailand, Laos, Cambodia and Vietnam, let alone the inner landscape of my own experience and life in the middle of my 50’s. It brought me back to a deep sense of connection with the Bay Area and my beloveds there. I stretched myself in the online dating world, plugged into the Spirit Rock community and found a new dear friend in Fran. I found and explored a new form of creative self-expression at Esalen through writing and performance art. The year has been a time of burgeoning creativity through my writing in ways I haven’t fully embraced until now. It’s a time that I not only wrote and wrote and wrote, but I published – on the internet, of all places! – everything that I wrote, unedited, some of which was way more vulnerable and expressive of the deepest parts of myself than I had ever let the world see before. I have embraced myself as a writer like no other time in my life. I have had a keen sense of both the freedom and responsibility to choose whatsoever I am so moved to do and be with my life. And that has and continues to be a really big deal. I’m alive, feeling into all the dimensions of what that means, learning to embrace and welcome all that comes and even finding some grace and equanimity along the way. And as 2011 draws to a close, all I can say about all of that is … More Please. I thought I’d return to Hawaii and start doing some psychotherapy work, but I’ve found I simply wasn’t interested. And then the disappearance of Pono while I was gone and the death of Makana soon after I returned changed everything anyway. I dove (or was I pushed?!) into the deepest well of grief, surrounded in sorrow’s darkness like I’ve never known. Slowly, slowly, I felt myself emerging, coming up from the depths of that place; and while there remains much to learn from the descent, I am so aware of how important it was that I made it. I’m grateful I had the courage to surrender to it and to trust that it was exactly where I needed to be. There are still vestiges of it and still much to learn about where I went and how I found my way through, because you see, I did. I didn’t know I would for most of the time I was in there, but I did. And now I feel more whole and somehow more myself as a result. And I feel ready now, having ascended to the place I’m currently in, to begin to look forward and to plan how I might imagine creating my life in 2012. There’s lots cooking for 2012 – Ann’s writing workshop, Singing with Courage and then some tentative travel ideas for Panama, Honduras and Nicaragua, still very much in the imagining stage at this point. I’ve also found out about Writers Residency Programs that I’ll begin applying for soon – they’re all over the country and I’m very excited about this possibility, as I am about returning to my beloved Bay Area for several months, which brings me up to the late Fall. At which time maybe I’ll come back here to Puna, Hawaii, and maybe not. I’m still so unclear about my relationship with Puna and the Big Island and whether and why I stay. Sometimes I wonder if it’s like a relationship that really oughta end, but which is familiar and comfortable and ‘good enough,’ so I stay even though ‘good enough’ is not how I want to choose where to live or what relationships to stay in. It’s been raining most of the two months that I’ve returned and it’s gotten old, really old. It’s beautiful here, there’s no doubt about that. And there are people here I love and care about and who love and care about me. But there’s also a way that it’s such a backwater kind of place filled with the highest concentration of misfits (I say this lovingly, of course!) I’ve ever lived in … a great place to visit, but ‘home’? Really? I don’t know, and for now, I’m sitting in the ‘I Don’t Know’ place and trusting that more shall be revealed. For tonight, I think I’ve already met my quotient of what needs to be revealed. For now, my plate is overflowing with ideas, plans and the quivering exuberance of being alive and embracing all of what comes. May I continue to be blessed in all the ways that give me the freedom, the courage and the determination to live the truth of my life. May it be so for you. May peace live in our hearts and may we have the capacity for love, kindness and gratitude for all we’ve been given. 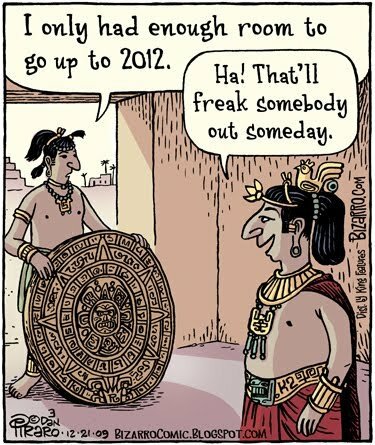 May it be so in 2012 and beyond. 2 Responses to Ciao 2011! 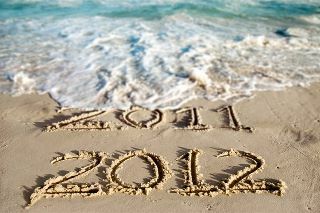 Aloha 2012! WOW! Things just keep getting more and more interesting, huh? Really good you’ve done all that work in trusting the Universe! Can’t wait to see you,just ten days until we’re back on the Big Island! Til then, much love! Ohyes, never a dull moment! And certainly not coming up soon with you beauties on the island!!! Can’t wait indeed! Plenty of love right back to you and see you so very soon!